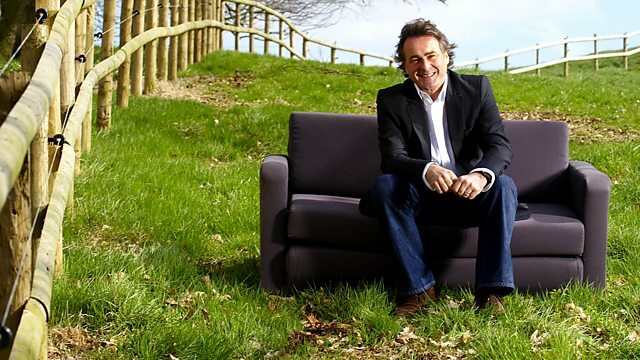 St Albans ‹ Series 7 ‹ Flog It! Experts Mark Stacey and Kate Bliss uncover some super finds in St Albans and presenter Paul Martin discovers The Natural History Museum at Tring. Browse content similar to St Albans. Check below for episodes and series from the same categories and more! on the medieval town that grew up around the abbey. There is no market today - the bustle you can hear behind me is this magnificent Flog It queue. Thumbs up. An excitable bunch. We've got two great experts, today. Kate Bliss and Mark Stacey. antiques that are brought into the splendid Georgian town hall. Kate's up first and it looks like it's tea for two. Sue, we're all set for a rather grand tea party. -Just need the cucumber sandwiches, eh? -and I'm the last one to have it. So, really, we now just don't have any room for it. The boys don't want it. -Not quite their sort of thing! -Definitely not their thing. No. -Are they? So you're sort of having a declutter. I'm definitely having a declutter. Yes. This is the start of it. really don't want to use them anymore, at the end of the day. This is a lovely period part set. I would put it probably at early Victorian, late 1830, 1840, probably. is all done by hand and then the gilt is overlaid over the top. Now, you're going to ask me what factory this is, aren't you? -And I'm not going to be able to tell you. producing this sort of thing in the early 19th century. The best quality botanical painting is normally signed. And you see it at on the top class factories like Chelsea and Derby. -and I have noticed we've got quite a bit of damage, haven't we? -So we've got the little finial here. It's been reglued? -On the coffee cups, we've got a bad crack there and another here. -And the sugar bowl's had a bit of a knock? There's a nasty crack there. So all that, I'm afraid, is going to bring it down. It's also incomplete. So we've got, I think it's three teacups? And one, two, three little, four little, coffee cans. But, nevertheless, it's a lovely period part tea set. The sort of thing that should go in a cabinet, really, on display. -That's where it was living. So, have you any idea of value? Well, I think the major thing is the damage, I'm afraid. this would have made several hundred pounds. to perhaps 150, on a good day. -The milk jug is probably one of the nicest pieces. it's a really pretty thing, isn't it? Typically Victorian. Quite elaborate, really. -A little over the top. -So, do I take it it's not quite your taste, Sue? No. So will you be quite pleased to see the back of this? To flog it? Yes. I think that would be a very good idea. -Well, we'd better get a good price for you. Now, we see a lot of pocket watches on the show but none quite like this. but quite its origin, we're not absolutely sure. -Now, you've looked the hallmarks up cos it is silver? -What have you found out? It's hallmarked. 1828 and the watch is Birmingham 1840. So it's obviously a bit of a marriage, there. and they put it in to one that was hanging around the house. face here, which is The Society of Oddfellows. -Have you found out any information on it? to have American origins, probably Salem and New York. It's very nicely done, actually. You've got some masonic symbolism, there. Unfortunately, we have got a little bit of damage on the enamel around the rim, but not too much. was made by Richard Sullen of Nottingham. And you've got this lovely chaste, nice fusee movement. Now, what about value? Have you got any ideas, yourself? because of the interest that somebody had in the Masons, really. and it might have been something particular about it. change the value. I would still keep it around the £100-150 mark. Well, as I say, it belongs to my mother. It's one of those items that sits in a drawer that nobody looks at. -it into the cash, I think. -Have a bit of fun. We'll put it in with a 100 reserve, so we don't give it away. I look forward to seeing you at the auction and time will tell. Time will tell whether it's worth anything. Thank you very much. -Les and Geoff, you're interested in all sorts of antiques and collectables? -It's a bit of a hobby? -So what do you most like doing of a weekend? Normally, we'll find our way out to the boot sales on a Sunday morning. -Geoff, is it pottery you're interested in, or do you have a specific area? Myself, I collect carnival glass, but Les here, he collects Wade. -But you've also got an eye for a bargain. Tell me about where this came from. Right. We was walking round the boot sale about two years or so ago, now. It was quite late in the morning. I looked down in the grass and saw it laying there. I thought, it looks like Troika but it can't be. if you don't like it, what about £1 and he said take it away now. So when he said £2, you even bartered him down to half price?! That's right. That's a boot sale. You have to make a bargain. So what about you, Geoff? Did you know it was Troika? Straightaway. As soon as we saw it, we knew exactly what it was. -I should say! Cor, I wish I'd been with you. available on the market today at auction. forms that some of the wares took. to the Aztec empire in South America. You can really see this here in the face. with the bluey-green glazes, whereas this, for me, is slightly duller. picking out what looks like this abstract nose, doesn't it? Again, the same beige and green. just as it should be, but we have got a little monogram. Just by the name, there. so that's going to give it a bit of help for a collector to have that. To be honest, not really, no. -You liked it for £1! -Well, I like it for £1. Yes! And there's obviously people out there who do like it. let somebody have it who likes it. So, what would you like to get for it? I think I would value it, conservatively, at 6-800. -I can see it making 800, 1,000 on a good day. -Just hope it can go to some nice home, somewhere. What a nice object you brought to show us? Have you had it a long time? -back to my great-great grandmother. -Where did she get it from? The family'd descended from the Comptons. And one of the female members ran away with the coachman. -And she brought that with her. -So she ran away with the coachman and that? It's a very interesting object. Where does it live at home? It's been wrapped in bubblewrap under my bed. Oh, that's a shame, isn't it? -Cos it's meant to go on the wall. -And then you'd put dried flowers, or flowers, in here. -actually, are these wonderful posureness colours. You know, this iridescent, this lovely, sort of, ruby lustre. of several hundred years ago. -They've wrapped it in this wonderful sort of Persian shawl, as well. Now, in terms of dating this, it's very highly Victorian. I suppose we're looking at maybe 1860, 1870, something like that. It isn't marked so it's difficult to decide where it's from. I think it might be continental, but it's a lovely object. Sadly, of course, over the years, it's had a bit of a bash. We've got several little chips and a bigger one on the edge, here. Yes. I think that's where grandmother had it in the fireplace. -She had it in the fireplace? -And she kept flowers in it and it dropped over? But none of the family like it now? Is that why you decided to sell it? Well, mum hasn't got room for it anywhere. -So you decided to flog it? We should put it into auction with a sensible estimate. If it had been in perfect condition, it would have been more desirable. -With an 80 discretion reserve on it. Would you be happy with that? I think it's got great visual appeal. -And if you want something quite unique on the wall, this is it. -And you won't be sad to see the back of it, then? That's good. I look forward to seeing you at the auction. -Thank you very much for coming in. but right now, it's time to up the tempo. so here's a quick recap of all the items we're going to be selling. though she can't wait to flog it! to head off to the sale room. Kate spotted this unusual Troika mask. I think Les and Geoff are going to make an excellent return. They only paid £1 for it. with this Victorian wall pocket but will the buyers agree? with auctioneer Steven Hurn on the rostrum. He knows the crowd well here at Tring Market Auction. Fancy a cup of tea, Steven? I think that's too good to drink a cup of tea out of, Paul, don't you? It's not just a 19th century tea service. It's in fact a bit of fine art for sale. and the quality of the decoration, I think it's late New Hall. And it's one of the tea sets that are presently doing quite well. It's very decorative and it's one that the trade could split. -That's where its value lies. Into little trios. Selling them off. -I can see it, actually. I can see that. Do you know, we've got £80-150 on this. I think there's a lot of people that would like to buy it between 80 and 150. But you'd like to sell it for a lot more than that! I think it will fetch quite a lot more than that. you want considerably a lot more. so the money's going to come in very useful. and I'm going to tell you that that will fetch over £300. Right, time's up. No, it's not the end of the show. Time is up for Philip's pocket watch and we've got £100-150 put on this? -Should do this quite easily. Bit of quality. It's been in a drawer. You don't want it? -A long time. The family don't want it, so let's hope we can sell it. If we had a key, we could test if it was working or not. Oh, yes, but I think the collectors will know that. which is great. That should really help boost it a bit. Good watch. Richard Sulley. It's also decorated with the arms to the face. What shall we say for this one? Shall we say 150 for it? £100. £80. 90. 100. 100, I'm bid. 20, I'm bid. 30, I'm bid. 40. 160 I'm bid. 70 now. -Hammer's down. Happy with that? -Brilliant. Less the commission. That's not bad! I've been waiting for this one, the Troika mask. We've got £8-1,200 on this. I've just been joined by Kate, our expert and Les and Geoff. upped the reserve to 800.
and put it into auction? you're not going to leave it. And here we are on Flog It! What a great story. You see, it is out there. You've got to get up early and go shopping for it. Now this important piece of Troika. The mask, this time, lot 242. What about 500 for it, then? Shall we say four? Yes. Madam says 400. Thank you. 400, we're bid for it. At 420 now. At 450 bid. 480 bid. 500. 520, I'm bid for it. 550, I'm bid for it. 580. 80 now. At £680. 700, is it? At 680. At £680, £700, is it? Down we go, then. At £680. We're just a few bids away from selling it. We've got a fixed reserve of £800. -With a bit of discretion, that would have gone today. But you wanted a fixed reserve. This wall pocket is Rosemary's. It was her grandmother's. And it was gran's, wasn't it? It's been right through the family. -It's not going to be yours for much longer. Not with the valuation Mark's put on it! I think it will exceed that. We're got to do well over 150, haven't we, surely? And also, these sort of things, I mean, it's very highly Victorian. I mean, I'd love to see it making 200 cos I think it's worth it. It's a lovely piece. -That's what I'm rather hoping. decorator's piece and it's hard to put a value on that, isn't it? -You're flogging it because of what? that's a damned good reason, isn't it, to sell it, so good on you. Let's hope we get top dollar. Going under the hammer now. That's certainly a different shape, isn't it, that one? There you are. Lot 365. What shall we say for this piece? I think, possibly, we might ask £200 for it. £50. That's a start, then. £50, I'm bid for it. 60, I have now. 70, I'm bid. 80. £80. 90, is it? £90. £100 is bid for it. 110, I have. 110. 120. 120. And 30. And 40. 150. And 60, I have now. 170. 80, is it? 180. 90. 190. And 200. At £200. And 210, now? At £200. No more? OK, then. 200, I shall sell. It's going, I sell then, for £200. -That's so good, isn't it? It really deserved 200. So quirky. It's gone. You've got your £200, less a bit of commission. -Give it to my mum. We've got a fixed reserve of £50. Top end 150, hopefully. Be happy with that, wouldn't you? -It's beautifully hand-painted and decorated. -see this doing upwards of £300 plus, so what do you think of that? You're buying a bit of fine art, here. Every single little panel is so different. It's so uniquely painted. Bit of damage, of course, but might put the collectors off. to find a piece that is perfect. There's some tiny chips and tiny cracks. not kept as a set and sold in trios. -Oh, well. We'll wait and see. -A tap. Well, I think you can get a complete bath suite. -because I'm quite excited about this. -That'll be nice. Me too! Now we come to something very interesting. There you are. A pretty part service. Now, where do we start on those? Are we going to start at £200 for it? It's a very pretty one. £200 for it. 150. I'm bid 150 for it. 150, I'm bid for it. Thank you. 160 I'm bid now. 170, I'm bid for it. 180. 190. £200 is bid for it. 210, I'm bid now. £220. £230. Surely you're 50? Thank you. 260. Reserve. I want to see a big smile! And 10 now. 310, is it? Yes. 310. And 20. Are you 30? At 340 then, I shall sell. It's going down and I sell. Hand basin, couple of taps. Plumber can fit that for you! It was quality, through and through, despite the damage. Maybe somebody can restore it. It'll get split up. It'll get split up into trios. That did exceed my expectations. That's a great price. That's the beauty of auctions. You can't put a price on something! you're going to find this building full of excited schoolchildren. And they're absolutely loving this place. because this place, it's a real hidden gem. It's part of the Natural History Museum. is like stepping back in time and visiting a museum straight out of the Victorian era. and birds large enough to start his first museum in a garden shed. But before long, his collections were filling rented rooms and sheds all over Tring. to provide a permanent place for them all to be housed. His collections included thousands of mammals, reptiles and fish. whose passion with animals also started when she was really young. Pleased to meet you. So, when and where did it all start? at least every week of every school holidays. there's always new exhibits to see that you hadn't noticed before. I tried to draw all the birds on the British list. -Oh, wow. Did you get through them? -I've got about halfway. Not too bad. Always obsessed with animals. My room was a museum. It was full of skins and wings and pinned insects and things. -I stuffed my first bat at seven. cos they're all into their dolls, probably? I don't actually think I had many! Most young girls get into ponies and horses. You got into bats and taxidermy! Walter must have been quite an incredible man. Possibly, slightly eccentric, don't you think? -of, sort of, money with the madness. -If only you could have met! -We would have got on like a house on fire. a tame wolf, 64 cassowaries and a giant tortoise. and on the occasional trip to the capital. you know, had never been seen before. to the understanding of science at that time. There are 17,000 specimens preserved in jars. And 16,000 bird skeletons. 95% of the world's species. They've got just cotton wool for eyes. They don't need glass eyes. They don't have to be wired into a lifelike position. This way, they're easier for scientists to look at and measure and compare one with another. Can I have a look at that? Is that a parakeet? That certainly is. That's not just any old parakeet. Why? What's different about it? This is a Carolina parakeet, which is now extinct in the wild. who produced a mammoth book of the birds of America. -And you do this as well here, don't you? -Part of your job remit? -Oh, yes. It certainly is. Yep. We're adding to the collection all the time. Nowadays, we're not going out and shooting. We rely on people to bring birds in to us that they found dead. down to the vent and then prise the skin away from the actual body. Some of the bones stay in. The bones of the legs and the wings. -Skull, that's the original skull in there, as well. -make a false body the same size to go back into the skin again. It's not as gory as people think. there's something quite special you're going to show me? -To you, they are, aren't they? I think you're probably referring to these little chaps. Some of these were actually collected by Charles Darwin, himself. Is that his handwriting, as well? don't actually have his own labels on, anymore. They were taken off. 3374, in Darwin's own fair hand. Thank you so much for showing me around and especially behind the scenes. Back to St Albans Town Hall now, where Mark is getting very excited. exquisite piece of porcelain in. Tell me about it. in the south of France, in the 1930s. and they lived down there quite comfortably until the war. of the country within 24 hours. -cos you couldn't take it with you. -In 1946, they went back for a holiday, dug it up. that's where the damage occurred. There is a little bit of damage to two of the legs and also to some of the beading. it's like a jewelled golden egg, isn't it? tiny, tiny bits at the top to larger bits at the bottom. All this decoration behind it. And then these, sort of, almost pearl-like beading down the side. of one of Britain's finer porcelain makers, Worcester. This is the Kerr and Binns mark for the last quarter of the 19th century. But it's a lovely object. I know. It does. Yes. The whole thing is fabulous. They all say that, don't they?! I think it's a very difficult thing to value. -we could be looking for something like 500, £1,000. -but it won't put off the buyers. I would like to put, maybe, 150 to £200 on it, with 150 reserve. -It wouldn't surprise me if it doubled. -actually, I can have that restored better. Have you had it out on display all these years since you've had it? -but you never know. And I would hate to knock that over. -Your wife is happy to sell? -That's why she sent me along today. is Thelma, here, who's clutching, I believe, an accordion. Squeeze box, my dad called them. Can I have a look? Is this yours? And where is he today, then? -Is he on holiday, is he? Oh, nice. Why hasn't mum gone out to join him, then? -Somebody's got to sell it, haven't they? he moved out to Spain, he just left it behind at home. to him where did you get it and how much? -"I'm on my way to see Flog It!" He didn't think it was worth anything. Wow. The box is rosewood. -Yeah. So this is quite a nice instrument and it needed protecting. -That's quite fortunate you've still got this little case. You can see they're in pretty good condition. from the value, cos there's only one. It can be repaired, probably, yes. Yes. Yeah. Again, we've got rosewood here, with pierced fretwork. -There's a bit of damage. That's not too much trouble. And, that's what I was looking for, a maker's label. Rock Chidley. So it's a good London maker. Yes. Yeah. And I'd put this at the turn of the 1900s, about 1910, 1920. I wish I could play them. and to my surprise, they do quite well. count up the little pegs. -Yeah. We've got 24 there. -That's a pretty good one. and I think it had something like 32 pegs on it. -And that got £1,200, in auction. I'm pretty sure we're going to find a collector that will want that. and I put £80-120 on it and it was a speculative sort of estimate. I'm surprised it sold for £200. -Yeah. So you might get that, Thelma. -That would be rather nice! into auction with a value of £150-200 and see what happens? Marion and Jim, a lovely little period jewellery box. Always nice to see jewellery in its original case. But what's inside? Let's have a little look. We've got a super little dress ring there. -Now, tell me, is this a family piece? It was a family piece of my mother's at one time, we possibly believe. So, do you remember your mother wearing this, Jim? I remember my mother wearing a ring similar to that. Because it was so long ago, I can't swear that was the actual ring. -So I'm now thinking that is too large. So we're not sure whether this is her engagement ring or not? it certainly could well be an engagement ring. I would think, probably, between the wars. Possibly 1930s. Maybe a little bit earlier. We've got old cut diamond, what we call old cut. These ones are slightly duller. And diamonds are also graded according to their colour. so that they're towards the lesser good quality end of the scale. in this sort of quality ring. And then we've got a sapphire in the centre. And the sapphire is called trap cut, or step cut. shape and then the step up to what we call a table, the top of the stone. And that's actually quite a good cut for an engagement ring. It's in a rubover setting so it doesn't sit too proud. So you could wear it every day as engagement rings were designed to be. cos you can see the facet edges of the sapphire are really worn down. -So it's been much loved, I think. It's a lovely combination having a sapphire and diamond. Typical combination for an engagement ring. Sapphires vary a lot in their blue tone. slightly lighter in colour and you can see that in mine. That much lighter blue colour. and from Thailand. What about value? I think the condition of this sapphire will affect the value quite a bit. At auction, I think we've got to be looking at probably 150 to 200.
if two people like it. It would be sensible to set a reserve at 150, if you're happy with that. -So no regrets about getting rid of it? before we head off to the sale room. of being buried during the Second World War. which I tuned into the moment I saw it. I've a feeling it'll do well. the sapphire and gold ring, turn out to be the real jewel in the crown? Jim and Marion, Kate, good luck. It's just about to go under the hammer. It's that gold and sapphire ring. We've got £150 on this. You never thought of wearing it, did you? -Too small. Wouldn't get past the knuckle. With jewellery, you have to wear it. -There's no point sticking it in the bank. So, hopefully, someone's going to fall in love with it. Good-looking gold, sapphire and diamond ring. Are we going to bid £200 for it? £100 bid. 100, I'm bid there now. 10. Thank you. 120, I've got. 130. And 40, I'm bid. 140. And 50 now. A bit more. A bit more. A bit more. Yes! £160. The hammer's gone down. Good valuation. It's a hard pitch, isn't it? Yeah. I think it's cos that sapphire is really quite worn. is going to count against it, but it's a fair price. that story we've just heard back at the valuation day? This little egg has been through hell and high water. It's just so touching and it's lovely. It's absolutely lovely. -it'd have been triple the figure, I suppose. But it is Worcester at its height of opulence. The wonderful quality of that pearl beading. And everything is decorated. I love it to bits. Every little facet of it. Any way you look at it, it just smacks quality. Let's find out what this lot here in Tring think of it, shall we? Because here it is, going under the hammer. This is interesting, this one. Worcester jewel ovoid vase and cover, there you are. I think we ought to be looking for £200 for this one. At £200 for it. 200. At £100. Are we a £100 bid? 100, I'm bid for that one, then. Thank you. 110, I'm bid for it. 120. And 30. 140. And 50. 160. And 70, is it? 180. £180. At £180. At 190, now. No? 180, I'm selling then. At 180. 90, is it? I'm selling at 180. -Will the wife be pleased? into account, of course. they've got to get it restored. That will take a bit of money, but it's a beautiful thing. -A great story and it's wonderful to have something like that. give you a quick clue, wouldn't it? Thelma's accordion. -This is exciting, isn't it? What does your son think? Have you phoned him? Yeah, when you gave me the estimate. Yeah. He had to sit down. Have a couple of beers, putting his feet up in the sun out in Spain! Yeah. I don't blame him, really. and he treats you for sorting it all out, Thelma. -He'll get you out to Spain? Well, of course. That's it. This is it, Thelma. Good luck. Interesting one. There you are. Rock Chidley. Not too many Rock Chidley concertinas there. There you are. Where shall we say? Are you going to bid 200 to start me for it? 100, then. 100 is bid. Thank you. 100, I'm bid for that one. At 180. 200. 200, I'm bid for it. At 320, I'm bid. 350, I'm bid. 380. At 400. 20. Is it? At 400, then, I'm selling. Yes? At £400, then. Thank you. Yeah. I got a tingle out of that. -Cos that it was, the other one, wasn't it? Well, we hedged our bets, didn't we? -We were hoping for 250. -I can't wait to get home and tell him, now! -I bet you can't. I bet you can't! ..and I hope we've made your day, as well. We thoroughly enjoyed being at Tring. Everyone's gone home happy. so join us next time.